We are a team of makers & designers — working together to create beautiful, personalized items. Mahina began in 2012 as a one-woman eBay shop, creating beautifully scented soy candles and soy melts. Thecandles were a huge success and the business grew very quickly, with new products releasing frequently. 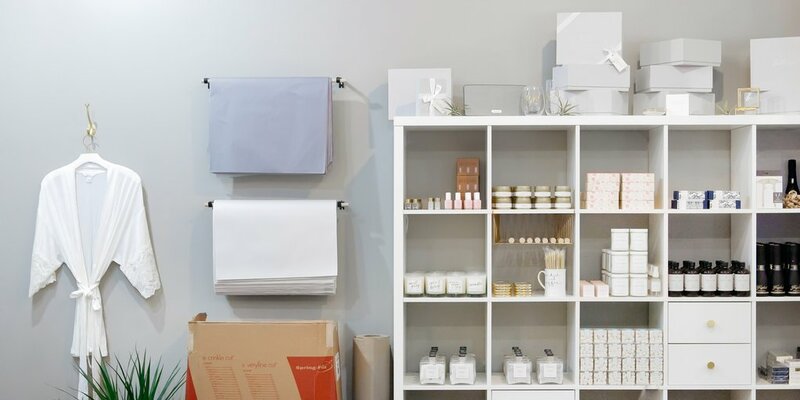 Mahina has developed into a luxury gifting company. While our specialty will always be gifts for bridesmaids, engagements, bridal showers and weddings, we now offer gifts to celebrate all of life’s occasions, big and small. And there you have Mahina. — unique, beautiful gifts and accessories that add a special touch to day-to-day living, as well as life’s most special occasions. We strive to make gifting meaningful and personal. We believe in supporting local and buying handmade, and we also believe customers deserve only the best quality in products as well as service. The majority of our products are handmade in our Melbourne studio, with the exception of a select few small batch companies contributing to our gift box collections. Each order that leaves our studio is made with care to give our customer a memorable experience from beginning to end.